NJCPA Names Diana Miller A "Woman Of Note"
The accounting firm, Wiss and Company, LLP proudly announces that Diana Miller was awarded the distinction of "Woman of Note" by the NJCPA. "Wiss is ecstatic for Diana and she truly deserves the honor," Peterson said. "We appreciate her dedication to the accounting profession and her efforts to go above and beyond in all aspects of her work and support of our local community." The accounting firm, Wiss and Company, LLP announced this week that partner Diana Miller has been recognized as one of NJCPA's "Women of Note." Miller, along with 28 other qualified female CPAs in the New Jersey area, was chosen for this distinction based on her accounting profession involvement. She has participated in the New Jersey Society of Certified Public Accountants and is dedicated to community service in the area. According to New Jersey Society of CPAs CEO and Executive Director Ralph Albert Thomas, CGMA, Miller and other award recipients were announced the morning of Friday, June 17 at the New Jersey Society of CPA's Convention and Expo. As an NJCPA "Woman of Note," she is currently recognized on the professional organization's website for her achievement. 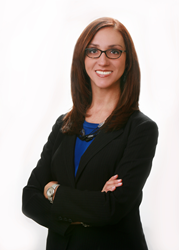 She will be featured in the September/October issue of New Jersey CPA Magazine. Wiss and Company's managing partner, Paul Peterson, says that the firm is very proud of all that Miller has accomplished. With over 17 years of experience in public accounting, Miller has served a wide array of clients encompassing nonprofit, government, higher education, and many commercial industries. In the commercial sector, she has worked in the food service, distribution, real estate, insurance, customer service and manufacturing sectors. Miller specializes in the not-for-profit industry with many years of experience working with educational organizations, social service organizations, private foundations, religious organizations, associations, foundations, day care centers, and other charitable tax-exempt organizations. Along with her participation in NJCPA, Miller is also involved in many community volunteer efforts including acting as chairperson of the Wiss Women's Leadership Forum and leading the American Women's Society of Certified Public Accountants as a past scholarship director. The New Jersey Society of Certified Public Accountants has been in existence since 1898, and with more than 15,000 members, it is the largest of its kind in the state. Providing members with education, leadership, volunteering, and networking opportunities, NJCPA seeks to help their members increase their value to clients. Along with promoting top performers as the organization did with Miller, they also offer over 500 continuing education programs to further increase the knowledge and usefulness of CPAs to their clients. Diana Miller and the rest of the team at Wiss and Company, LLP can be reached for further comment at Wiss and Company, LLP, 354 Eisenhower Parkway, Suite 850, Livingston, NJ, 07039. The firm can also be contacted by phone at (973) 994-9400. Visit Wiss and Company online for more information. Serving the state of New Jersey proudly since 1969, Wiss and Company, LLP employs 26 partners and 180 full-time paid staff in an effort to assist companies in translating numbers into sound financial business decisions. We have three offices in NJ/NY metro to fit your needs. As a firm, we seek to make a bigger impact in our community through serving and giving back.